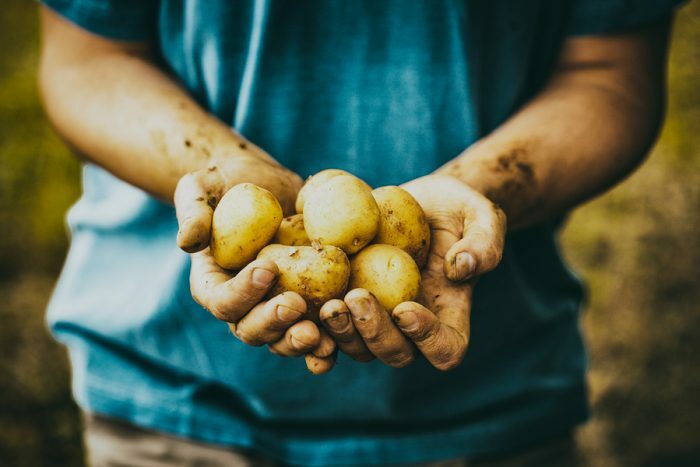 Potatoes are one of the most sustainable and versatile foods known to man. We fry it, mash it, boil it, roast it, scallop it. We eat it with meat, ketchup, cheese, gravy, and any spice in the pantry. Besides providing our bodies with energy, the Hebrew University of Jerusalem has discovered it can also energize our homes. Being the humble vegetable that it is, the potato is willing to give us more. 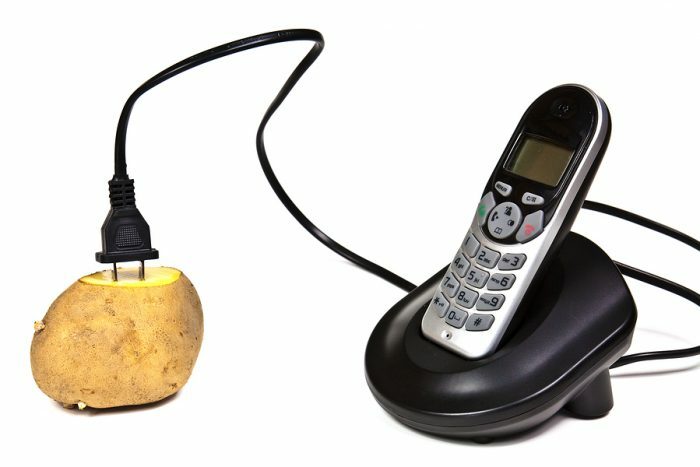 In the laboratory of Hebrew University of Jerusalem, Haim Rabinowitch and his team tested potatoes to source lighting, telecommunication, and information transfer electrically. To sum it all up, it’s like a battery, but tastier, more durable, and 50 times cheaper than the retail 1.5 V AA batteries. 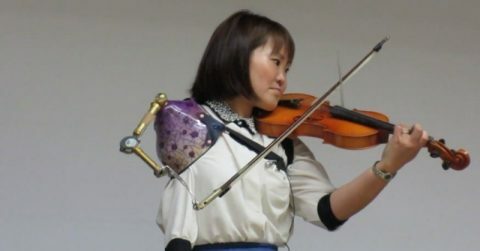 Plus it is a lot more environmental-friendly. After experimenting with different cuts of potatoes, Rabinovitch found that chopping the vegetable in quarters produced the best results. He placed a copper cathode and a zinc anode, both connected to a wire, into the boiled quarter. It’s as easy as that. 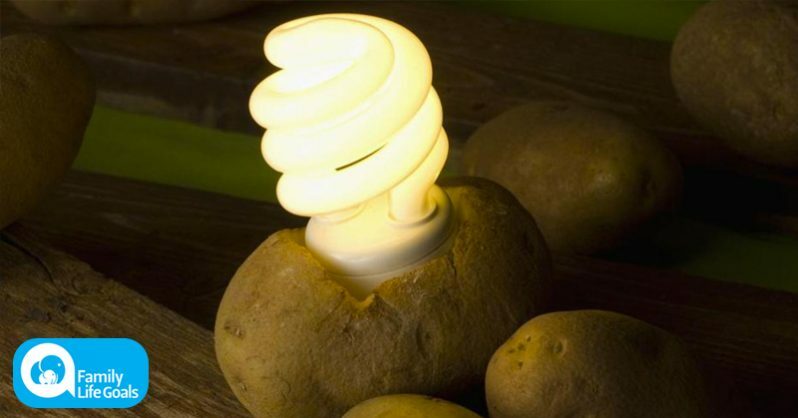 To clarify, the potato itself is not an energy source. It is simply the conductor of electricity, allowing the current to move freely across the wire to create energy. It’s a natural version of battery acid. Boiling the spud breaks down the resistance in the starchy flesh so the electrons can flow more freely. This empowers the overall electrical output. Insert lame ‘how many potatoes does it take to change a lightbulb’ joke here. Stick the nails on opposite sides of the potato. If you are using a penny, you may need to cut out a penny-sized hole to be able to place the coin halfway into the potato. Attach the clips (or wrap around one end of the wire) onto each nail. If you are using a penny, wrap the wire around the coin before inserting it into the potato. Repeat this process to create more energy! Connect the potatoes by attaching one end of the wire to a zinc nail and the other end to the copper on the next potato, and continue this until all the studs are linked. Note: Do not eat the potatoes afterwards!